Microfiber fabric is susceptible to water stains simply because the fibers are so fine. 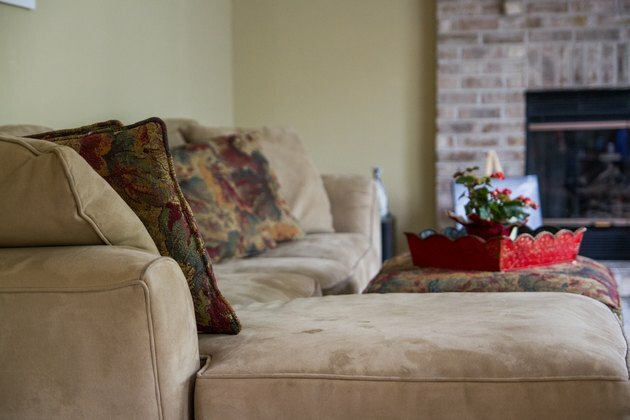 Removing the stains is easy if you can put the fabric in the washing machine, but that isn't an option for your sofa. Simply washing the stains with detergent and water doesn't always work and may even make the stains worse. 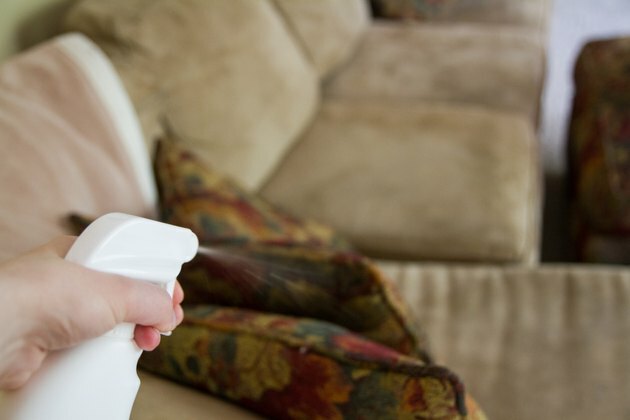 You can get stubborn stains out with a three-step procedure using alcohol, baby wipes and a hair dryer. Each of the fibers that make up microfiber fabric is 100 times thinner than a human hair. In fact, the definition of a microfiber is one that has a thickness of less than one denier, which means that 9,000 meters of the fiber has a weight of less than one gram. Packing so many thin fibers together creates a fabric with a large amount of surface area that readily absorbs water. When the water evaporates, the dirt that was dissolved in it stays behind to form rings and unsightly stains in the fabric. You may be able to remove water stains with detergent and water. 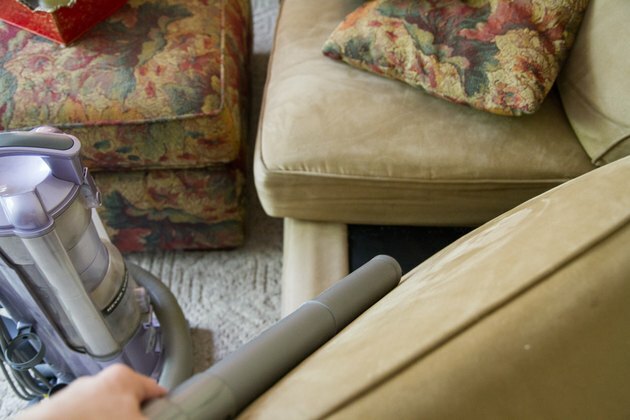 To do this, start by vacuuming the couch to remove dust and surface dirt; then mix a mild detergent solution. Dip a cloth in the solution and wring it out to remove excess moisture and rub out the stain, taking care to avoid saturating the fabric. 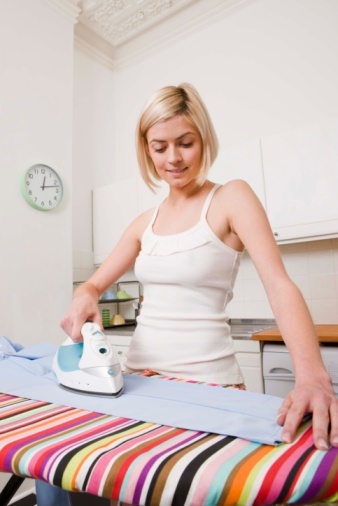 Once the stain is out, rinse the area with a cloth dampened with clear water; then dry the fabric with a hair dryer. Don't let the water evaporate on its own, or it will probably leave another stain. Cleaning watermarks with more water doesn't always work; in fact, it sometimes leaves stains worse than the ones you were trying to remove. Rubbing alcohol evaporates faster than water, though, and doesn't leave water stains. To use it, spray it on the fabric with a spray bottle and scrub the stains with a sponge; be sure any scrubbing implements you use are white to avoid transferring color to the fabric. Keep scrubbing until no more dirt gets transferred to the sponge; then allow the area to dry and fluff it up with a white bristle brush. You get the best results if you clean the entire surface -- not just the part that's stained. An even more thorough cleaning method makes use of the dirt-lifting ability of baby wipes. After saturating the fabric with alcohol and scrubbing -- you may want to use a toothbrush for deep-cleaning problem stains -- wipe down the fabric with baby wipes. You'll probably find discoloration from dirt on the first wipe you use, so discard it and wipe with another. Continue until the wipe you're using doesn't discolor; then dry the fabric with a hair dryer to speed up evaporation and prevent a new stain from forming. Finish by fluffing up the fabric with a bristle brush.